The arrangement is built on the premise that the best way Arkansas can attract and retain doctors in a state that has among the fewest physicians per capita and among the unhealthiest residents is to educate and train them in-state. 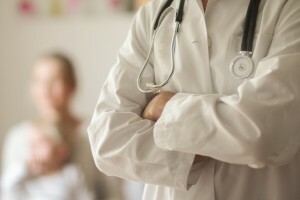 The nation is projected to face a shortage of as many as 94,700 physicians by the year 2025, according to the most recent analysis by the Association of American Medical Colleges (AAMC), which represents 145 American medical schools and 400 teaching hospitals and health systems. Other states’ doctor-training programs are cherry-picking some of Louisiana’s top talent, The Associated Press reported last month. “The dean of the School of Medicine tells me almost daily he’s getting calls from students saying, ‘Is this really where I need to train? Should I stay here or should I go someplace else?’ ” Larry Hollier, chancellor of the Louisiana State University Health Sciences Center in New Orleans, told state senators. READ NEXT: Is the U.S. really facing a serious doctor shortage? Since 2002, the number of students enrolled in osteopathic medical school has more than doubled, to nearly 26,000, according to the American Association of Osteopathic Medicine.